Dr. Nicole Chavez is a licensed clinical psychologist, certified play therapist, and has specialized training in maternal mental health. She has been providing therapeutic and supportive services to children, adolescents, parents, and families since 2007. She has experience in providing therapy in a variety of settings to children ages 0-21, as well as working with pregnant and new mothers. She strongly believes in prevention and early intervention in order to maintain individual well-being, to promote healthy family relationships, and to facilitate positive bonding and attachment between the child and caregiver. While she enjoys providing individual therapy, she is a strong believe in the importance of working with the whole family. Dr. Chavez enjoys working with parents individually to help them improve their confidence in their parenting skills. Dr. Chavez is dedicated to providing quality services and personalized care to each and every one of her clients. She prefers to work collaboratively with her clients in which they are an active participate in their change. Aside from providing therapy, Dr. Chavez enjoys psychological testing. She is able to provide psychological testing for a variety of struggles, including ADHD, learning disabilities, and helping an individual clarify emotional struggles and learn personal strengths and weaknesses. She is also skilled in early assessment and diagnosis of perinatal mood disorders and childhood mental health disorders. Dr. Chavez’s passion for psychological testing goes beyond the clinical setting, she also teaches psychological testing at the American School of Professional Psychology, and supervises unlicensed professionals and students in the area of psychological testing. Dr. Chavez earned her doctorate degree from the American School of Professional Psychology, Orange County in 2010. Dr. Chavez holds a Bachelor of Science Degree in Psychology from Clemson University. She also holds a certificate in Play Therapy from the University of California, San Diego Extension Program. She also has training in and use evidence based practices, including Parent-Child Interaction Therapy and Functional Family Therapy when working with families. If you feel stuck in old patterns it may seem impossible to free yourself. Today is the day. All you need to start the therapy process is the willingness to make that first contact. Dr. Baharian believes in the innate ability of her clients to transform themselves, their relationships, and their lives. Everyone encounters challenges whether it's depression, anxiety, loss, failed relationships, compulsions, or past traumas. Dr. Baharian works collaboratively with her clients to develop self-awareness and self esteem, a key foundation of meaningful relationships. She enjoys acting as an empowering, knowledgeable guide along each client’s unique therapeutic journey. Dr. Baharian is a strong supporter of prevention and early intervention to bring about and maintain healthy familial attachments, reduce incidence and severity of risk factors, and increase individual strengths. Dr. Baharian is committed to helping children, teens, and their families improve their communication and relationships. Dr. Baharian is a certified expert in parenting and family therapy. She is certified in Parent-Child Interaction Therapy (PCIT), an evidence based treatment model, where she provides education and live coaching to parents to strengthen the parent-child bond, promote healthy parent-child attachment relationships, and decrease maladaptive child behavior. Dr. Baharian is also certified in Functional Family Therapy, an evidenced based short-term family therapy model for tweens, teens, and young adults (aged 10-21) to decrease risky behavior, blame, and negativity, and increase responsibility, warmth, and functional communication. She helps to engage and motivate teens and their families by decreasing intense negativity, reducing and eliminating problem behaviors, and strengthening familial relationships and communication. Dr. Baharian has specialized training in perinatal mood and anxiety disorders, play therapy, and suicide assessment and intervention.She is passionate about helping individuals who are suicidal find another way to cope with overwhelming despair, pain, and suffering. She utilizes a collaborative, short-term, evidence-based intervention program for those presenting with thoughts and plans of suicide. Dr. Baharian believes that preventing suicide is a shared responsibility between her and her clients. Together, Dr. Baharian works with her clients to develop their ability to label their emotions and create personalized strategies to calm themselves and keep themselves safe. She has developed a strong skillset in treating individuals in crisis and has specific training centered around the prevention and intervention of suicide. She acts as a community advocate for promoting best practices in the assessment and management of suicidal behavior. She is a member and active supporter of the International Association for Suicide Prevention, a supporter of the Los Angeles County Perinatal Task Force, and a member of the American Association for Play Therapy. Dr. Baharian has extensive experience working with adolescents, parents, and families since 2008. 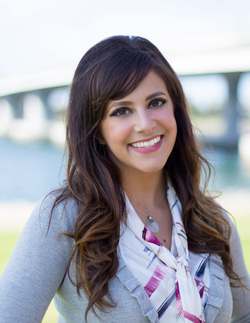 Dr. Baharian earned her Doctorate in Clinical Psychology from the American School of Professional Psychology in 2012. Dr. Baharian earned her master’s degree in Clinical Psychology from the American School of Professional Psychology in 2009. She obtained her Bachelor of Science degree in Human Development from the University of California, Davis in 2007. Dr. Baharian is currently licensed as a clinical psychologist in the state of California. PSY 26838.